We will build additional pages for other every day Asian and Black couples in committed love over the next few weeks as we continue to celebrate all Blasian couples. Seeing is believing and we hear from so many people how the photos and articles at ABC encourage and inspire them. Asian and Black couples also tell us how much it means to them and sometimes their families to see other loving Blasian couples and know that they are not the only ones, and that all the negative stereotypes are just not true. Blasian couples have some of the strongest loving relationships on the planet, and we are honored to share these love stories with our readers! length of the relationship – both how long in total AND how long married or engaged. For this list, we welcome all Vietnamese and Black couples worldwide, both BMAW and AMBW. 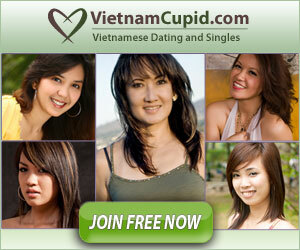 This list will also include both current celebrity and non-celebrity Vietnamese and Black couples. We will regularly update this list with both new additions as well as deletions when necessary. Below are the couples that we know of today, but we are excited to see this list grow over time! The couples are listed roughly in order of the total length of their relationship. Tim and Lily Tim, African American, and his fiancé Lily, Vietnamese, have known each other since 2003! They started as friends, became good friends, started dating, developed a strong relationship, and now they are engaged and looking forward to marriage. They enjoy every moment of being together, even for small things like having a cup of coffee together. They both say that not only are they happy together, but they realize that their love for each other is strong and unbreakable. We love their story and wish them continued happiness and unshakable love for this lifetime and beyond! So beautiful!! Marcus and Tiffany Marcus, African American, and his wife, Tiffany, Vietnamese American, are creating their empire in the fashion and fitness world! They have been married since 2013 and have been together in total for over 9 years now! They share a deep love together and always look amazing! We wish them continued incredible love and happiness forever! We also thank Marcus for his service to our country – Ooh Rah! Remy and Mimi Say hello to instagram star, Lovely Mimi, AKA Myha, AKA @lovely.mimi_, Vietnamese, and her husband, Remy, African American, who have been married since 2014, but together since 2011. Mimi is hella funny on her instagram with over 730,000 followers now. Lately the media has started to take notice of Mimi’s internet celebrity and she has the potential to be a breakout social media star! We wish all the best to Remy and Mimi! CJ and Katherine CJ Hamilton, African-Canadian, and Katherine Tran, Vietnamese-Canadian, are fashion bloggers at http://ourmode.ca – a very well done his and hers fashion blog. They have been dating since 2011. Through their blog, they have built quite the name for themselves in the fashion industry, and they have worked with some of the biggest names in fashion and retail. Brett and Melinda The beautiful couple, Brett, African American, and Melinda, Vietnamese, have been dating for about 4 years now. Melinda’s parents were initially opposed to the relationship, but her mother slowly had a change of heart and recently met Brett for the first time. Her father is still in the process of coming around. Gaining the Asian family’s acceptance can sometimes take time, but if your love is strong and consistent, and you always show the Asian family respect, even when they are not so kind, they will come around over time. Love and respect always wins out in the end. Much love to Brett and Melinda! Jay and Bonnie Jay, African American, and Bonnie, Vietnamese, have been together since 2012 and they are clearly meant to be together! Bonnie says that Jay is the love of her life and she loves his family. We wish them nothing but a lifetime of happiness together! Many blessings! Drew and Stephanie It’s the very photogenic Drew, African American, and his girlfriend, Stephanie, Vietnamese and French. They have been dating steady for the last 3 years. Drew and Stephanie are electric together and we wish them all much happiness together! Dane and Linh Say hello to Dane,African American and Native American, and his fiance, Linh, Vietnamese. They have been dating since 2013 and were recently engaged in 2016. Dane and Linh have so much fun together and they love being with each other doing anything from mundane activities like laundry or watching television to traveling or going to sporting events. They truly complete each other! Linh says, “Dane is definitely my best friend and the love of my life! He is super smart and so much fun to be with. He is the only person I have ever met that I can totally just be myself.” Linh and Dane trust each other wholeheartedly and we are so very happy for them! We wish them a lifetime of love and happiness! Many blessings!! Ambrose and Tina Ok, take a good look, and then stop drooling 🙂 It’s Ambrose Middleton, African American, and his girlfriend, Tina Nguyen, Vietnamese American, who are both award winning professional body builders. They have been dating since 2014 and have been training together since at least 2013. Their dedication to the sport is very clear and we wish them many blessings and much love! Mike and Lana Mike, Congolese, and his wife, Lana, Vietnamese, both live in Germany and travel throughout Europe often. They were married in 2015 and make a great couple together. Continued happiness and many blessings to this beautiful couple! Justin and Princess Congratulations to Justin, Vietnamese, and his new wife, Princess Trigga, African American who married in 2016. Princess Trigga is a rapper, singer, and songwriter from the Baton Rouge area. We wish them much happiness together forever! David and A’leia Congratulations to David, Vietnamese / Chinese, and A’leia, Creole American who were married earlier this year. They first sparked a conversation on Twitter four years ago which led to eventually meeting in real life and they have been inseparable ever since! They chronicle their AMBW lifestyle with their beautiful daughter on their YT channel, Vuong Family Values. We adore David and A’leia and wish them all the best that life has to offer! Many blessings! See all of our articles on Asian and Black couples in committed love here. Drop us a line if you would like to be included on any of our Asian and Black couples in committed love pages. We regularly say that Love Trumps Race and Love Trumps Borders because we see it all of the time with loving Blasian couples. Wishing everyone all the best! Sign me up for ABC! Keep me up to date on this conversation via emailGet notified of new comments on this post. If discussion generates more than a few emails daily your subscription will be paused automatically.